Do you like the thought of peeping on your own big, hairy bear wearing a black collar from the comfort of your own home? Well, Yosemite National Park may be making your dreams come true. No, the park hasn’t created some leather daddy adoration society, as wonderful as that may sound. Instead, the park is sharing the location of some of the big hairy beasts to better protect both them and us. Yosemite National Park and the Yosemite Conservancy unveiled their bear tracker today at KeepBearsWild.org, since most every bear aficionado prefers their bears wild. 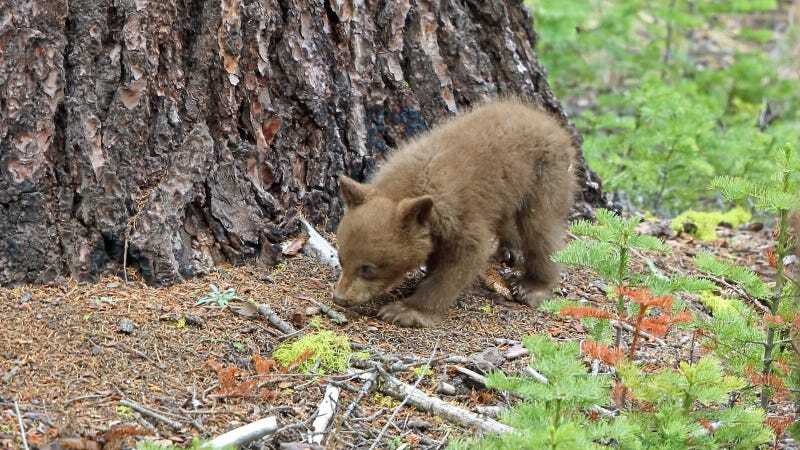 But really, according to Chip Jenkins, the park’s acting superintendent—who has a delightfully bear-y name himself—park rangers are making the data available so that folks will store their food properly, drive slowly in the national park, and keep a safe distance from the big boys. Up to 20 bears have GPS collars in order to help scientists understand how they move throughout the park for things like food and shelter. Importantly, however, data isn’t in real time, and rangers can turn trackers on and off at will, mainly so enterprising guests don’t endanger themselves or any hibernating bears. Anyway, you heard them. If you’re visiting Yosemite, don’t feed the bears, don’t hit the bears with your cars, stay away, and don’t try to climb into bed with them while they’re already sleeping.